When I was little, my Dad bought an used computer from his office. It came with a lot of Flash games, music files, and of course Winamp as the default music player. I remember playing songs and creating playlists, but the main reason I use it was to look at visualizations and changing skins over and over again. I don’t remember what version of Winamp I was using at that time, but since it was 2002, I think it was Winamp 2.x. Winamp (and other players inspired by it) is not on my favorite music players list, since I generally prefer players with a media library. I know more recent versions of Winamp has such feature, but by then it has become bloated with features like video support, podcasts, CD ripper, internal browser and whatnot (also, AOL). But I can’t deny that Winamp’s simplicity and customization options makes it an interesting player. With operating systems creating design guidelines, I think application UIs are getting neater, simpler, and easier to use, but also much more boring. It’s not a bad thing, but some variations would be nice – even a change of icons set and palette switch can make an app look fresh. I’ve downloaded four versions of Winamp, including 5.666, but none of them works perfectly under Wine. At this time I remember that there are some Winamp-like players for Linux that I can install from the repository. There are two that are still updated: QMMP and Audacious. QMMP is pretty simple; it supports classic skins (in .wsz/.zip), and even can show visualizations from Project M. It doesn’t have the Winamp interface out of the box, though – you’ll need to switch to ‘Skinned interface’ from the Plugins option. With analyzer and Project M visualization. I thought I’ve found the Winamp counterpart for Linux, until I opened Xfce’s task manager to look at its CPU usage. For an app that doesn’t have a lot of features, its CPU usage is unreal. I decided to try Audacious; I’ve tried it before in its default interface, but I don’t really like it. You can switch its interface on Settings>Appearance. 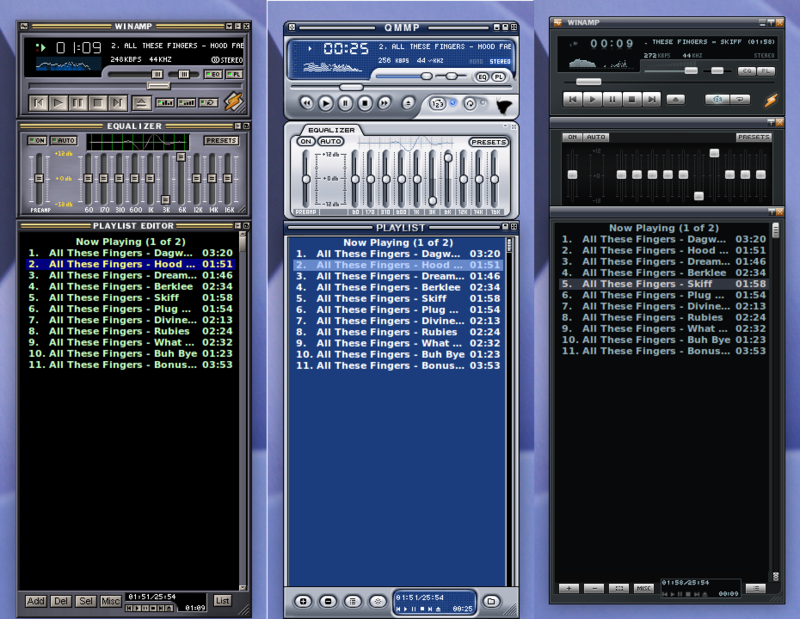 Audacious in Winamp Classic Interface with some plugins. One thing that bugs me is that Audacious doesn’t have its own Project M plugin. Actually, I’ve somewhat fixed this by inst alling a package called projectm-pulseaudio, which integrates Project M with audio streams from any music player that uses PulseAudio. It’s not as nice as QMMP’s plugin, though – I’m still yet to find out how to change visualizations. Skins: Win98, eMac, Mac8, MaCamp. 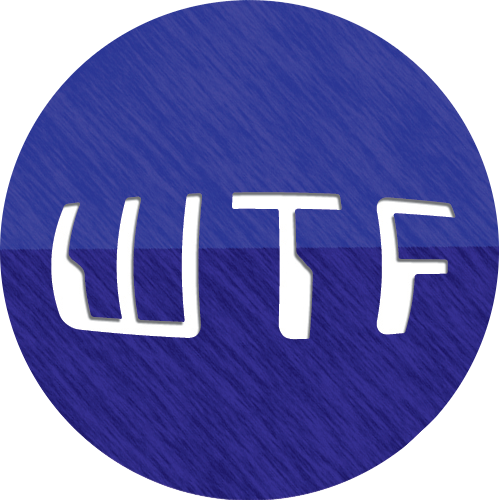 Skins: FruityLoops, iTunes 6, WMP 10, WMP 11. Winamp 3, Winamp 5, Bento. 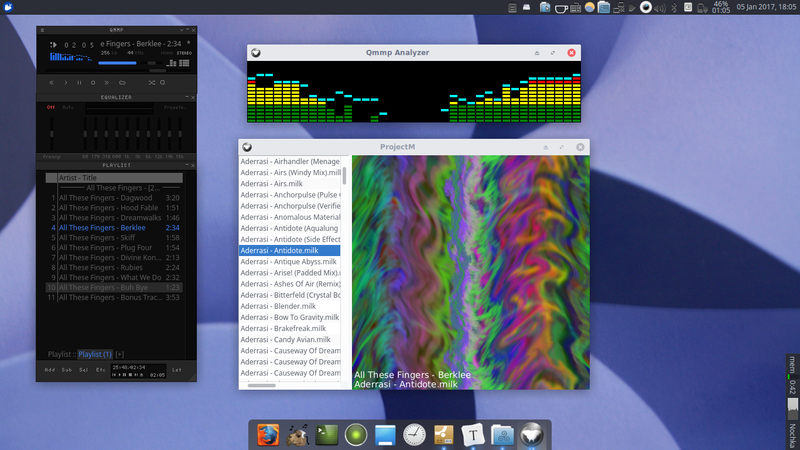 or inspired by Linux themes. I also like these stylish newer skins. Dark Material, Aesthetic Groove, Gaia, Minimalistic Black. I think that QMMP is a player that behaves closer to Winamp than Audacious. Both can read Winamp skins, although I’ve found some skins that QMMP can read, but Audacious can’t. The CPU usage is the only reason I don’t like it; I’ve tried some tips, but none of them works. I hope updating to a newer version does the trick. I now enjoy Audacious more in its Winamp Classic interface. 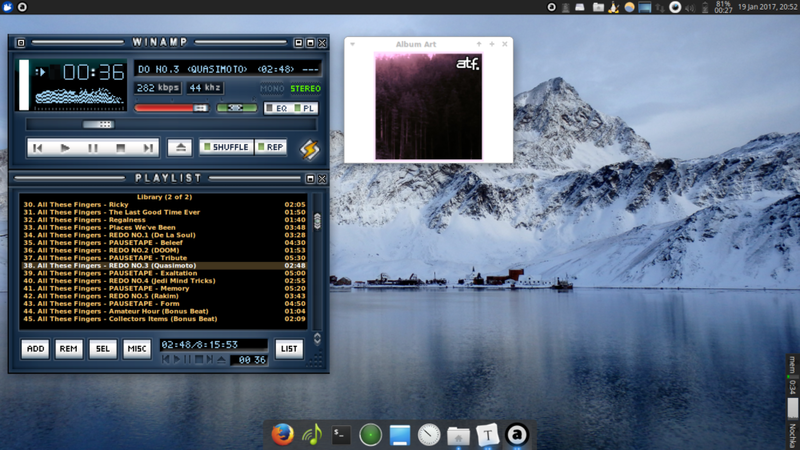 It’s not as lightweight as I expected it to be, but it’s still a good Winamp alternative for Linux. I still can’t find a Project M plugin for it though, so the Winamp feeling is not complete. The plugins, although useful, are also not on par with the wide selection of plugins Winamp has. When I finished this post, I finally realized that I’m struggling to read what’s on the player window on both QMMP and Audacious. Fortunately, they also have Double Size feature (Meta+D and CTRL+D, respectively). Double-sized Audacious with Neoclassic skin.